On Friday, the Holy See published the itinerary of Pope Francis’ apostolic visit to Sweden, scheduled for 31 October and 1 November. As expected, and despite the later extension of the visit from one to two days, it will be a short affair. Starting at 11 am on Monday 31 October with the official welcome and a meeting with the Swedish royal family in Malmö, the main event of the visit is scheduled for that same day: an ecumenical prayer meeting at the Lutheran cathedral in Lund, followed by the big ecumenical celebration and meetings with various ‘ecumenical delegations’, at Malmö Arena. The roughly 10,000 available tickets for the event, which will include artists, films, testimonies and music were sold out within 90 minutes. Bishop Anders Arborelius of Stockholm has confirmed the great interest in seeing the Pope, but also added that there could be some distance. The second day, presumably added after calls from local Catholics, will be marked by a papal Mass in Malmö. The location of this is yet to be announced. Pope Francis will depart from Malmö airport at 12:45 in the afternoon on Tuesday 1 November. The papal visit to Sweden has been extended from one to two days, the Diocese of Stockholm recently announced. Pope Francis will not only be marking the 500th anniversary of the Reformation with the Lutheran World Federation on 31 October in Lund, but he will also celebrate All Saints in Lund on 1 November. We may assume that this is because of the wish of many Catholics that the Holy Father not only come for the non-Catholic Christians but also for the growing Catholic Church in Sweden and all of Scandinavia. ^Pope Francis and Bishop Anders Arborelius of Stockholm, photographed before the canonisation Mass of Swedish Saint Maria Elisabeth Hesselblad, 5 June 2016. Bishop Arborelius will be the Catholic host of the Holy Father in October. The plans as they exist now, as outlined on the website of the Scandinavian bishops’ conference, include the Reformation service in Lund’s Lutheran cathedral (which will be broadcast live on Swedish television), and a three-hour meeting with the Pope for a broader audience (with a special focus on the young) in Malmö Arena, Sweden’s second largest indoor arena which can house up to 15,000 people, on 31 October. On 1 November Pope Francis will celebrate Mass for the feast of All Saints in Lund. The location for this Mass has not been revealed yet. Malmö Arena (pictured above) is located in an industrial and shopping area south of the city of Malmö. Not the most appealing of places, certainly not when compared to the charm of the old city. But, when drawing tens of thousands of people, needs must, as they say. Almost a week ago, on Sunday 25 October, the second bishop of the Territorial Prelature of Trondheim, in Norway, passed away. 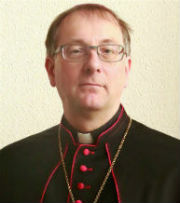 Bishop Georg Müller was 64 and retired since 2009. He had lived in the community of the Congregation of the Sacred Hearts of Jesus and Mary, also known as the Picpus Fathers, in Münster since 2012. He had entered that order in 1971 and was ordained for it in 1978, while studying at their college in Simpelveld, the Netherlands. 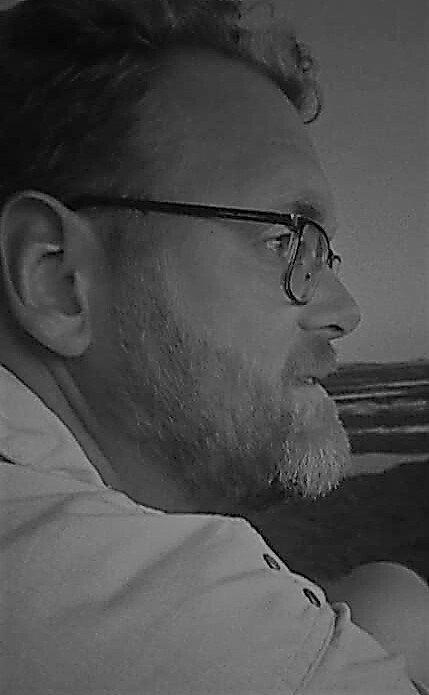 It was his own choice to serve the Church in Norway, where he arrived following the completion of his studies at the University of Münster in 1981. He was given immediate responsibility in 1983, when Bishop Gerhard Schwenzer was transferred to Oslo but stayed on as Apostolic Administrator of Trondheim until 1988. Fr. Muller became vicar general in 1984, cathedral administrator in 1986 and in 1988 he took over as Apostolic Administrator. In 1989 he was the host of Pope Saint John Paul II as the pontiff visited the Nordic countries. It took until 1997 for Msgr. 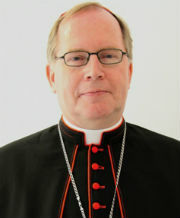 Müller to be appointed as Bishop of Trondheim, an office he held until his retirement in 2009. Like most other Nordic dioceses, Trondheim experienced a period of growth at that time, mainly because of immigration, a trend that still continues. 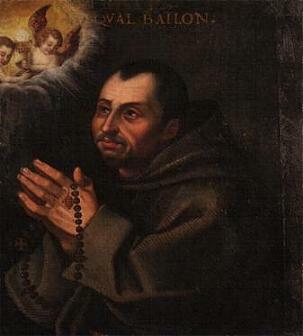 In his time as ordinary, Bishop Müller invited a number of religious orders to come to his prelature: Birgittine sisters in Trondheim, Cistercian sisters in Tautra, Missionary Servants of the Holy Trinity, a Filipine community, in Molde, and Cistercians monks from France in Munkeby. Bishop Müller retired for unspecified reasons in 2009. A year later it became clear that he had resigned because of accusations of sexual abuse of a minor, about which Bishop Müller admitted his guilt when confronted about the matter by Bishop Anders Arborelius of Stockholm. The victim, at the time of the bishop’s retirement a man in his 30s, received the compensation he wished from the Church, and Bishop Müller was removed from all official duties in the Church. Prosecution in a court of law was not possible because of the statute of limitations on the crime. The year-long silence after Bishop Müller’s retirement was per the wish of the victim. Bishop Müller underwent therapy in Germany, and subsequently lived in his order’s general government in Rome. He moved to Münster in 2012. He suffered from unspecified health issues until his death. Bishop Müller led the Church in Norway in the place where it once begun. It was once the Archdiocese of Nidaros, before the Reformation struck and the Church in Norway did not return in the public eye until 1843 and the once great archdiocese was resurrected as the mission “sui juris” of Central Norway. Only shortly before Father Müller’s arrival in the country, in 1979, did Central Norway become the Territorial Prelature of Trondheim. Bishop Müller is, for now at least, the last bishop of Trondheim. Upon his retirement in 2009, the bishop of Oslo, Msgr. Bernt Eidsvig, became Apostolic Administrator, and remains so until this day. The funeral Mass for Bishop Müller will be offered on 4 November at the parish church in Werne, south of Münster, where he will also be buried. Bishop Czeslaw Kozon of Copenhagen will be the celebrant.